Orhan Pamuk born in Istanbul, in 1952. He was awarded the Nobel Prize for Literature in 2006, as a youngest writer. Turkish novelist, screenwriter, academic and recipient of the 2006 Nobel Prize in Literature. One of Turkey’s most famous novelists, his works has sold over 13 million books in 63 languages. 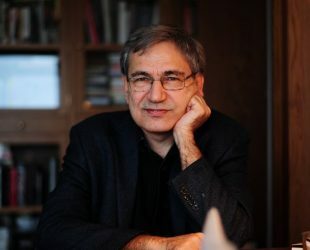 Orhan Pamuk is the author of novels including The White Castle, My Name Is Red, Snow,The Black Book, The New Life, Silent House, The Museum of Innocence, and A Strangeness in My Mind. Pamuk is the Robert Yik-Fong Tam Professor in the Humanities at Columbia University, where he teaches, writing and comparative literature. Fyodor Dostoyevsky, More, Gabriel García Márquez.